Visual Studio 2008 SP1 and ReSharper 4.1 were happily running and helping me develop software, but I wanted to try out the early drops of ReSharper 4.5, which you can find here. I didn’t want to disturb my existing install. So I went looking for a way to run ReSharper 4.1 and 4.5 side-by-side. JetBrains provides the following installation notes, which gave a glimmer of hope. Honestly, turn back now! It’s not worth the trouble. If you’re really concerned about the cleanliness of your Visual Studio install, I would recommend installing VS2008 and ReSharper 4.5 in a virtual machine. If not, then I would recommend uninstalling ReSharper 4.1, installing ReSharper 4.5, and tolerating any glitches in the early builds. The occasional glitch is probably going to be less annoying than the instructions below! Remember: ReSharper 4.5 builds are daily builds of a product that is in active development. JetBrains is very upfront about the quality of builds on their daily builds page. Whichever method you choose – experimental hive or regular install – be prepared to upgrade to a later build on at least a weekly or biweekly basis. Oh, you’re still here. I guess you really want to know about how to install ReSharper into an experimental Visual Studio hive. Don’t say I didn’t warn you. You’ll need to download the Visual Studio 2008 SDK 1.1 – the version of the SDK for Visual Studio 2008 SP1. (It would have been too easy to call it the Visual Studio 2008 SP1 SDK.) You can find it here. 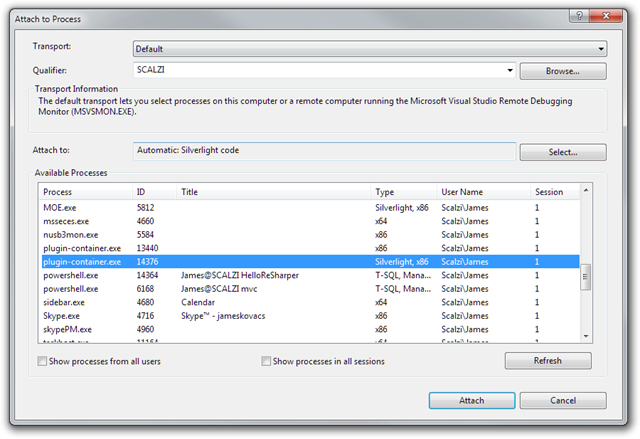 The SDK contains tools for managing experimental Visual Studio hives. The one that we’ll need is called VsRegEx, which is a command line tool for creating, modifying, and deleting experimental Visual Studio hives. We’ll be creating an experimental hive called ReSharper by copying our default hive. Download and install your preferred daily build of ReSharper 4.5. IMPORTANT: When installing, make sure you disable all Visual Studio integration. 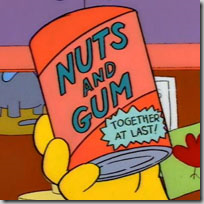 We’ll be performing the integration manually in the next step. 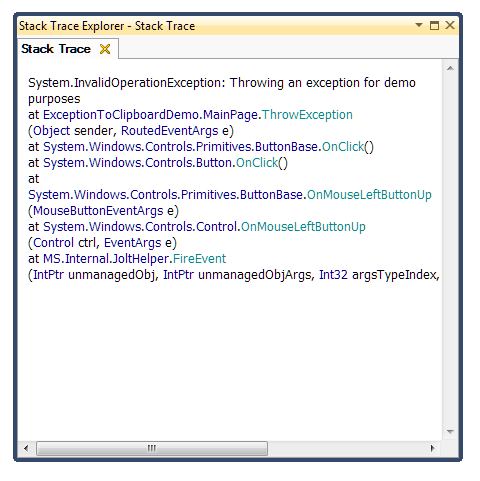 Copying InstallExperimentalHive.Proj to the Bin directory of your ReSharper install location. (Mine is at C:\Program Files (x86)\JetBrains\ReSharper\v4.5\Bin). Be patient. The last step might take a few minutes. So there you have it. ReSharper 4.5 running in an experimental Visual Studio hive. If you install a new daily build of ReSharper 4.5, you won’t have to recreate the hive, but you may have to msbuild and devenv /Setup steps above. Have fun with trying out ReSharper 4.5! Given the number of developers using Subversion, I’m surprised that no one on my blogroll has mentioned the new Subversion clients released in the last few weeks. Subversion, TortoiseSVN, and VisualSVN have all synchronized their version numbers on v1.5. I’ll talk about TortoiseSVN and Subversion changes. VisualSVN has some minor enhancements that basically expose the features introduced by Subversion 1.5. I’ll leave you to investigate them yourself. Let’s talk TortoiseSVN… You can get the new client from here. N.B. If you’re running 64-bit Windows (XP, Vista, or Server 2003/2008), make sure you grab the 64-bit installer. Shell extensions run directly inside Windows Explorer, which on 64-bit Windows is a 64-bit process. So you don’t get any WoW (Windows-on-Windows) goodness that allows 32-bit executables to run on 64-bit Windows. The most noticeable change is the new overlay icons. Unversioned and ignored files now have their own overlays, which I find especially useful. The problem in the past was that Windows only has 12 overlay slots available. These slots could be easily exhausted if you had multiple shell extensions installed, such as TortoiseSVN and TortoiseCVS. Tortoise clients now have a common overlay handler, which somewhat mitigates this problem. Over time, working copies tend to get crufty – at least mine do. I end up having extra unversioned files and directories – from tools, builds, half-implemented refactorings that you think better of – littering your working copy. Every once in awhile, I would just grab a clean working copy and delete the old. I then went to the trouble of creating PowerShell script to clean up my working copy. Now TortoiseSVN 1.5 includes this feature. Simply SHIFT-right click in your working copy and select “Delete unversioned items” from the context menu. N.B. This option only appears if you hold down SHIFT. The repository browser has also been completely reworked. It now shows a two pane view similar to Windows Explorer. The revision graph has also been rewritten and is much easier to use. Client-side caching has been improved, making TortoiseSVN more responsive. Merging has improved. Changelists have been added. Lots of new features. You can read the release notes for more information. You want to use Subversion from the command line via svn.exe and/or svnadmin.exe either directly or in scripts. You are running a server using svnserve (svn://) or Apache (http:// or https://). CollabNet – On the positive side, the MSI installer is quick to get you up and running. It adds svn.exe to your path and, if you install the server, you can select between svnserve.exe (svn://) and Apache (http:// or https://) easily. On the downside, you have to register on the CollabNet site and the downloaded binaries do not include support for Berkley DB, only FSFS. FSFS is the default for new repositories, but if you’ve got some older repositories around, they’re probably BDB. The CollabNet binaries complain bitterly about BDB repositories: “svnadmin: Failed to load module for FS type ‘bdb’”. Honestly I would recommend staying away from this package. VisualSVN Server – Although VisualSVN (the Visual Studio add-in) is a commercial product, VisualSVN Server is completely free. This is the easiest way to get a Subversion server up and running with Apache. You can go from a clean Windows box to a working Subversion server in under 10 minutes. As an added bonus, it includes a MMC management console. where <PATH_TO_REPO> is the physical path and not a URL. TortoiseSVN and svnserve now include Cyrus SASL (Simple Authentication and Security Layer) support, which allows you to use a variety of authentication/encryption mechanisms, most importantly for Windows users – NTLM and Kerberos. Subversion clients and servers prior to 1.5 only support ANONYMOUS and CRAM-MD5. You’ll need to be running v1.5 on both sides of the wire to use the other protocols. The ZIP package from Tigris includes NTLM, but not Kerberos. If you want to use Kerberos, you’ll have to download saslGSSAPI.dll and add it to your sasl-plugins directory. psake is a build automation tool written in PowerShell. It avoids the angle-bracket tax associated with executable XML by leveraging the PowerShell syntax in your build scripts. psake has a syntax inspired by rake (aka make in Ruby) and bake (aka make in Boo), but is easier to script because it leverages your existent command-line knowledge. debug dumps information the tasks. Remember that psake is syntactic sugar around PowerShell. So anything you can do in PowerShell, you can do in psake. That means that you can run MSBuild, NAnt, or other scripts. There is no need to completely replace your current build system. You can use psake to automate and extend it! psake automatically adds the appropriate version of .NET Framework to its path. So you can access MSBuild, csc.exe, vbc.exe, or any other tools installed in $env:windir\Microsoft.NET\Framework\$version\ without the fully qualified path. As I mentioned earlier, psake is a proof-of-concept. You're likely to find some rough edges. I am releasing to the community under a MIT License. I would love to get your feedback and ideas for improving it. If you are interested in contributing, please contact me. Go forth and free yourselves from the shackles of executable XML! Take a sip of psake and enjoy! For those of you who missed it, JetBrains officially released ReSharper 4 last week. A list of new features can be found here. Most notably is full support for C# 3.0 and LINQ, but there are improvements in lots of other areas. (I’ll point out these improvements in the Becoming a Jedi screencasts. I’ve got an episode planned all around the new C# 3.0 features, which should surface in the next few weeks.) New keymaps for both the Visual Studio and ReSharper 2.X/IDEA schemes can be found here. Congratulations to the entire JetBrains team for getting this release out the door! If you haven’t tried ReSharper 4, you owe it to yourself to take it for a spin.